Can you believe it’s August already? The year is just flying by! Truthfully I’m a little torn about moving so rapidly towards fall. I don’t have kids yet, so back to school doesn’t effect me too much – there’s just more traffic going to work in the mornings. It’s more that I don’t want to see the warm weather go. Walking Jessie (our black lab) in super cold weather is the worst. Worse that sweating while walking her. Plus, I’ve been digging cold treats recently. And those are perfect in warm weather. But I can carry those into winter, right? I mean, ice cream is totally a year round thing. And I love all the fresh fruit right now! Even though you can get fruit year round, it’s all on sale right now. So I’m trying to squeeze fruit into as many treats as I can. They’ll be out of season soon and I’ll miss them. 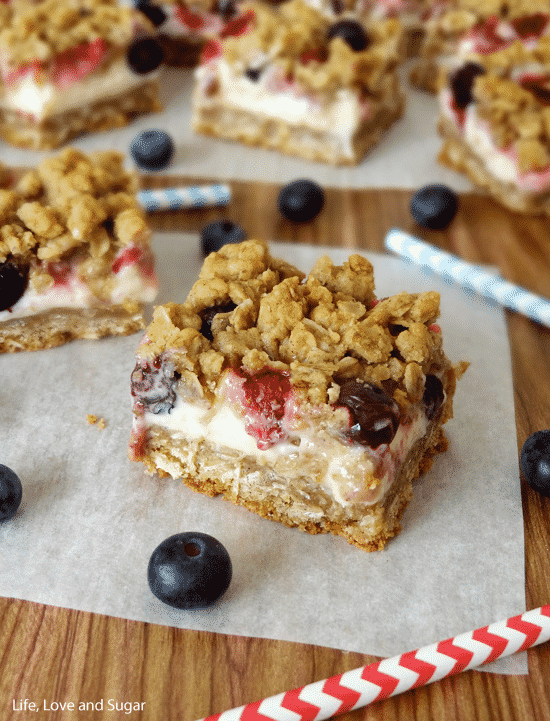 These Strawberry and Blueberry Oatmeal Cheesecake Cookie Bars feature two of my favorite fruits – strawberries and blueberries. 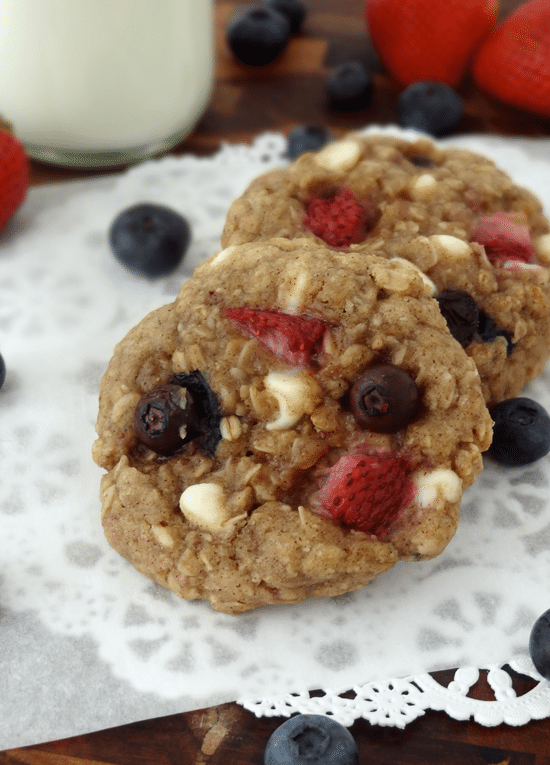 When I made these strawberry and blueberry oatmeal cookies towards the beginning of the summer, the hubs declared them to be the best cookie ever. I love that he loves them so much, but now that’s the only thing he wants me to make. 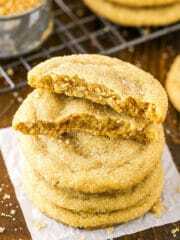 Since I know you all don’t want the same recipe repeated week after week on the blog, I decided to make him the cookies – but with a twist! Instead of white chocolate chips, I made them with white chocolate cheesecake. And in bar form! Bingo! These might be even better than the cookies. 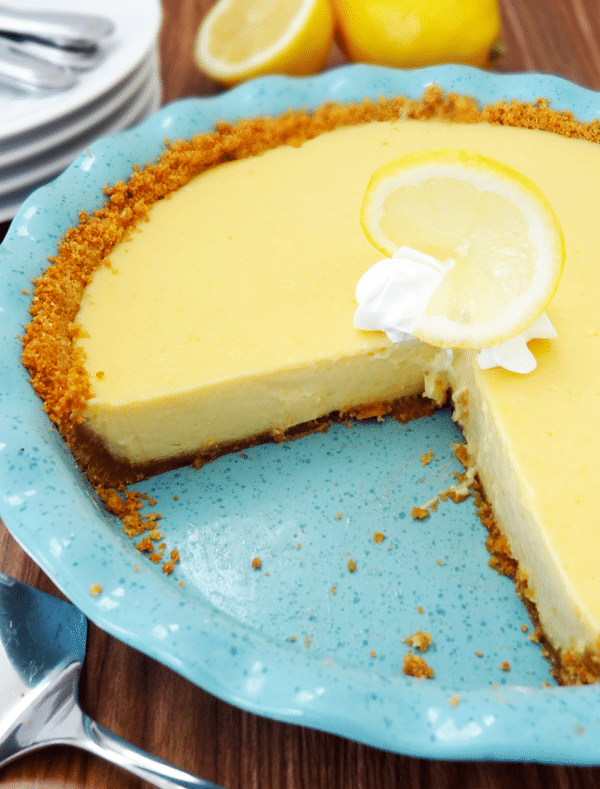 Same great taste, but with cheesecake. 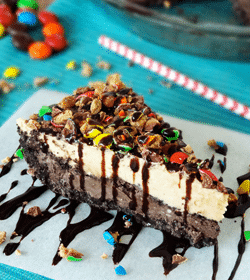 The cheesecake is the perfect addition. A great contrast in texture to the cookie around it. Heaven for the cinnamon, oatmeal, fruit and cheesecake lover! 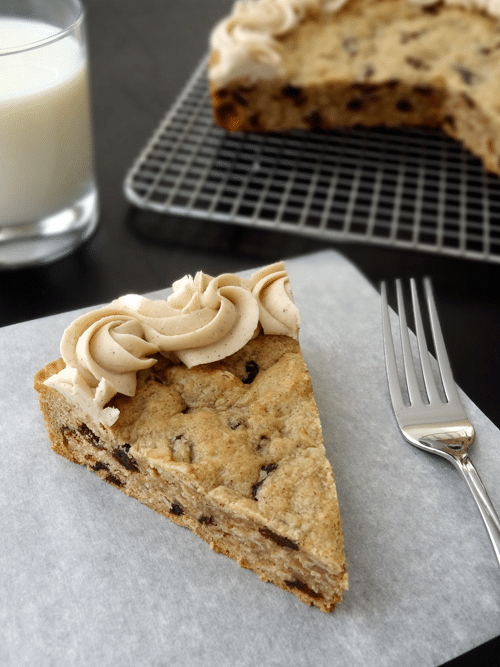 And the oatmeal cookie base and topping is so soft and cinnamon filled, it totally melds together with the cheesecake and all comes together perfectly for a party in your mouth. I like these even better than the cookies. The hubs wasn’t sold though. He’s still a cookie guy. 4. Add cinnamon, flour, cornstarch and baking soda to a medium sized bowl and combine. 5. With the mixer on low speed, add flour mixture to butter and sugar mixture. 6. Stir in old fashioned oats. Dough will be thick. 7. Line a 9×9 square pan with parchment paper. 8. Spread just over half of the cookie dough into the bottom of the pan. 9. 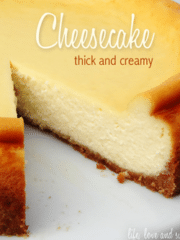 To make the cheesecake filling, beat the cream cheese, sugar and egg together until combined. 10. Melt white chocolate and add to cream cheese mixture. Mix well. 11. Spread cheesecake mixture evenly over oatmeal cookie base. 12. Sprinkle fruit evenly and crumble the remaining cookie dough on top of the cheesecake. 13. Bake for 32-34 minutes. 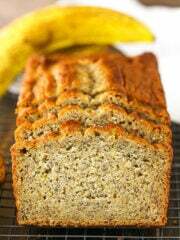 Edges should be lightly browned, center may still be a bit jiggly but will firm as it cools. 14. 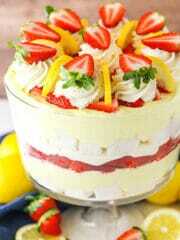 Allow to cool completely before slicing. Store in covered container in refrigerator. This post linked to Keeping It Simple Crafts, Flour Me With Love, Pint Sized Baker, Inside BruCrew Life, Chef In Training, Love Bakes Good Cakes, Shaken Together, Mandy’s Recipe Box, Tidy Mom, A Peek Into My Paradise, Chic On A Shoestring Decorating, Buns In My Oven, Lady Behind The Curtain, Kitchen Meets Girl, Ashley’s Dandelion Wishes, Pint Sized Baker, Chef In Training, Love Bakes Good Cakes, Hungry Little Girl and Table for Seven. 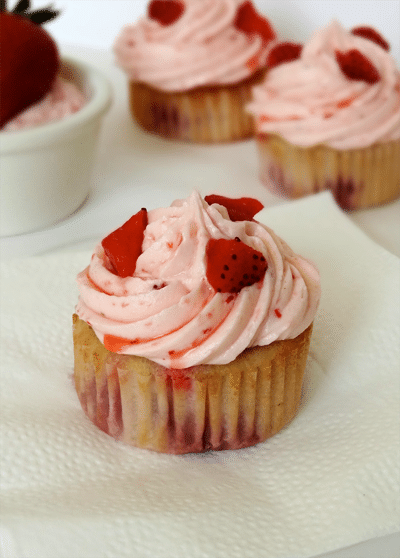 Want more fresh fruit baking ideas? 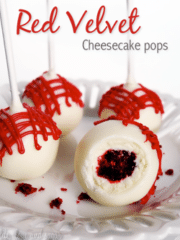 Hopping over from Wednesday Extravaganza to say that these look so pretty and yummy! 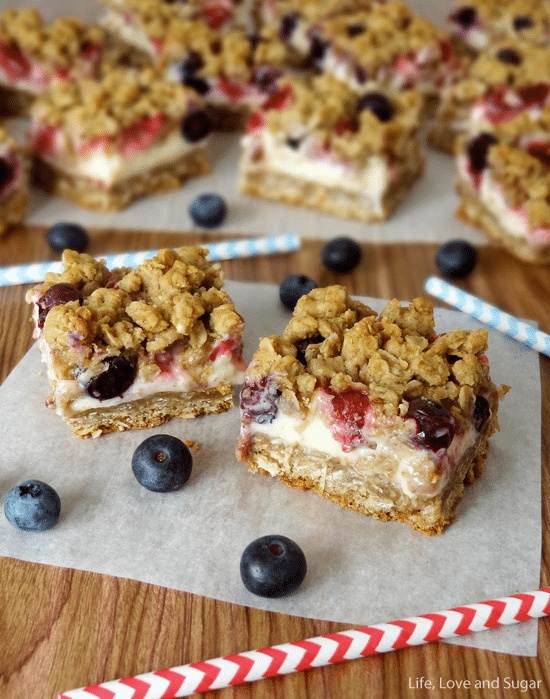 I love oatmeal cookies…and cheesecake…and berries. I’m sure my boys would enjoy them, too. Thanks for the great recipe! I love these bars! I just did a cheesecake bar for the first time and I am totally addicted! Don’t even remind me that it’s August. The second week is already almost over!!! I don’t mind too much, I guess – fall is my favourite month. Still, I’ll be sad to see the warm weather go, as well as all the amazing fruit. 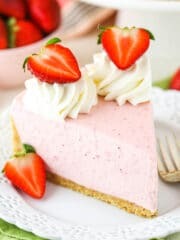 I’d better stock up on strawberries and blueberries so that I can make these incredible cheesecake bars! Gorgeous! I heart this recipe. I am suuuch a fruit junkie and I love me some cheesecake! 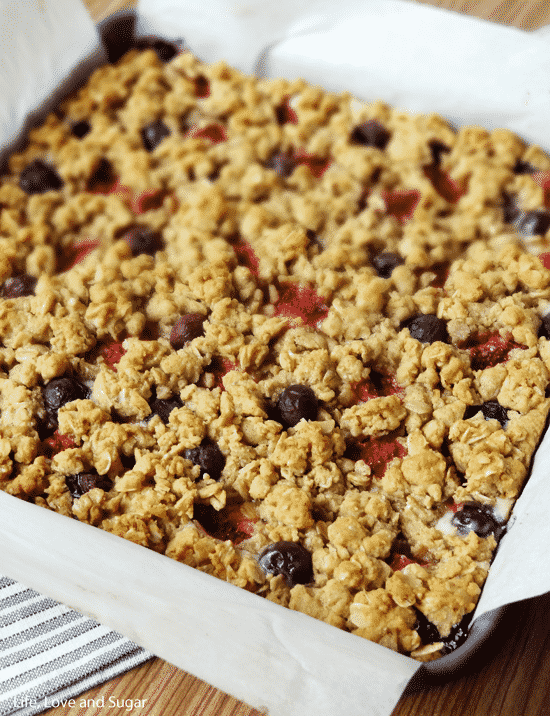 Also– that pressed oatmeal-ey crust is just gorgeous. These bars look over the top amazing! Thanks for linking up with What’s Cookin’ Wednesday! 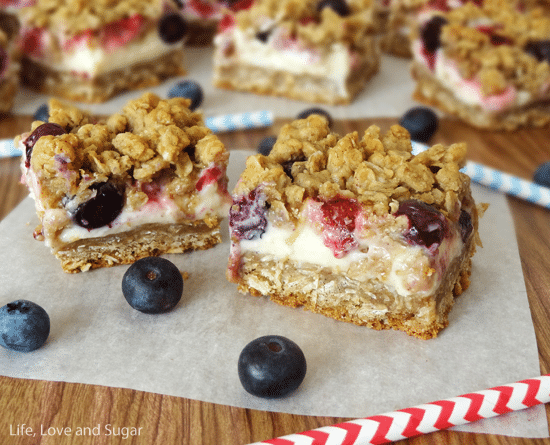 Cheesecake bars with fresh berries…creamy, fresh, and seasonal! 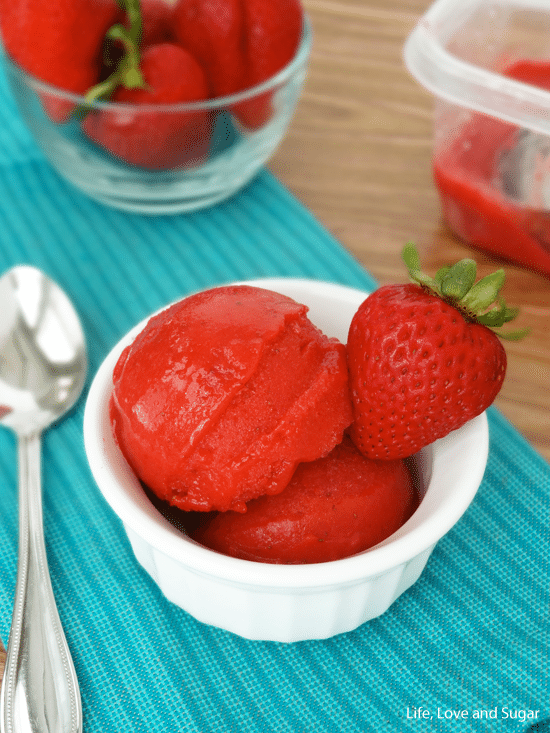 We can keep serving summer desserts and pretend it isn’t August already! I understand your dislike of dog walking in the winter! We have a new puppy and every time I grumble about taking him out (for the 1 millionth time) I think about how much worse it is going to be when its cold out! Thanks Wendy! Congrats on the new puppy – so fun! I remember when we lived in AZ I hated when Fall came because the traffic got SO bad from all the snow birds! I never notice the traffic now, since I never use the freeway, but I bet it does get worse. I love these bars!! 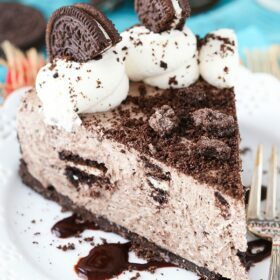 Anything cheesecake is fine with me! Stunning! I’m pretty sure I could eat these and die happy. the bars sound great. all the recipes on this page look delish. These are GORGEOUS! I, too, am going to miss the summer produce. I haven’t been able to do nearly as much with them as I wanted. These sound amazing! 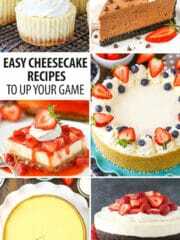 I love the idea of cheesecake with oatmeal!! You’ve been featured at Time to Sparkle! Thanks Lisa! Thanks for hosting! Congratulations! Your post will be featured at the TGIF Link Party this week! These bars are amazing! I made them for tailgating this weekend and everyone loved them. The only critique is that they are super sweet so I may try reducing the sugar a little bit next time I make them. Thanks for a great recipe! Thanks Nikki! I’m glad they were a hit! These look amazing but now that it’s the middle of Sept, how do you think frozen berries would work instead of fresh? Frozen berries should be fine, just let them defrost and then pat them dry before using them to help get rid of the extra moisture. You are credited as our inspiration. 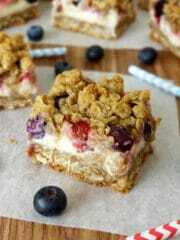 Thank you Lindsay for this fantastic oatmeal bar creation! I love a good cheesecake bar! These look amazing! I just discovered your absolutely (hearing angels singing in the background) beautiful site! Seriously. 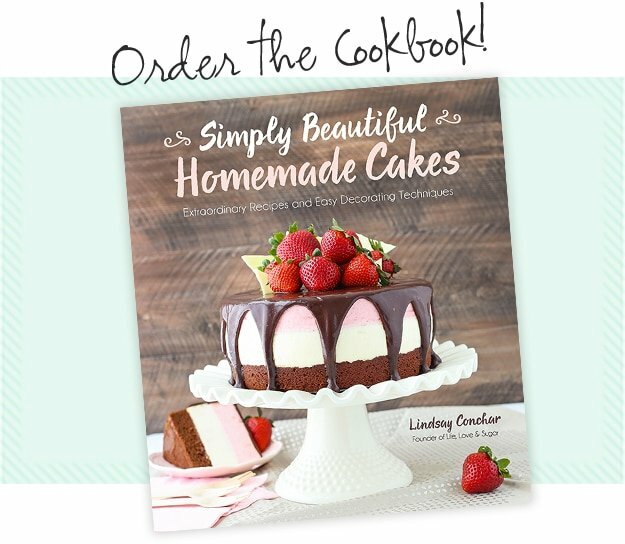 How refreshing it is to have all sweets, treats and celebration recipes in ONE spot. Have a blessed day and keep doing what your doing because your doing it right, with passion and love and it shows. No it shines. After reading the above I sound like some food critic believe this I am NOT lol. I’m a dorky slightly geekie put foot in mouth kinda gal really! ????. I just appreciate a couple of the finer things in life like food cause I don’t have no Beverly Hills 90210 address that’s for sure! ???? Hi again Lindsey! How do I subscribe to your blog? Told you I was dorky lol. Please sign me up if you would so kind to do so. Hi Lindsay. I’m like Tracey with her comments. 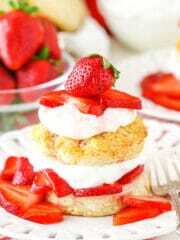 Totally addicted to your blog and when I’m looking for a sweet treat I come here. Love your book, love your blog and love your recipes. I’m going to make these for Easter brunch. 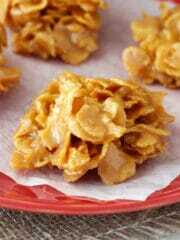 Can I make them on Thursday or Friday for a Sunday morning treat? Yes, I’d think they’d be fine made Friday for Sunday. Happy Easter!